Autism, Vaccines, Brains, Epidemics, Genes, Wakefield – What does it all mean? Over the last week, I’ve been tweeting and sharing story after story which only further disproves the whole undying vaccine issue. I’m not sharing them to change anyone’s minds but rather just to share the latest news. But then today, a news story was released that forced me to question whether or not I should be trying to change minds after all. Yes, just like last years Whooping Cough story, we have a disease returning to the U.S. that was previously all but wiped out. In this story about the measles, a family decided not to vaccinate their child, took a trip to Poland to pick up another child and brought the measles back with them. Now there are over 1000 people exposed in Utah. Great, so they decided not to vaccinate their child… is that fair to the 999 other children that are now at risk? The article doesn’t specify but it’s safe to say that some of those children are unvaccinated as well, some may be vaccinated yet still might contract it and very likely, some children are yet too young to be vaccinated… in which case, that is a very scary scenario indeed because children that are too young are at a much higher risk of severe reactions… maybe even death. Should I be letting that family make their own decisions or should I, in good conscience, be trying to convince that family that really should have been vaccinating their child all along? Perhaps if I (rhetorically of course) had convinced them, this could have been avoided? I’m going to share the news stories again with you right now and this time, I want to try to show you why these stories are important. Hopefully this will help someone to make the right decision and avoid another outbreak. In this study, read more here, it is discovered that children with Autism had a brain size around 10% larger than that of children without Autism. Bigger! Why is this important? Well, first, it is an identifier… anything that helps us identify Autism in children is a plus. Secondly, if some anti-vaccine people are correct and mercury is a big part of the blame, they’d have some very big explaining to do since one of the symptoms of mercury poisoning is Microcephaly (small head). Also, it should be noted that these are symptoms of methyl-mercury… the stuff that was used in vaccines was ethyl-mercury… which has such a short half life that it’s considered nontoxic. Children with Autism have larger brains, not smaller heads. The biggest fear pill that we’re forced to swallow in every single media/news broadcast is how much the number of Autism cases has risen in the last 20 years. This study, read more here, in the UK, decided to find out if the numbers really have been rising. Researchers picked 618 random adults (over 16) and performed an assessment on them and what they found was that around 1% of adults did in fact fall on the spectrum. What has happened is that many people did not know they had Autism, there was no way for them to be diagnosed as children since so very little was known about it back then. And adults today, even if they still feel as though they don’t fit in, find no reason what so ever to question it nor do they see any reason in getting a diagnosis as it would serve no purpose. They’d have the piece of paper but that’s it. If 1 in 100 people had Autism 16 years ago (remember, the people tested were over 16), and the number is still 1 in 100 right now, then that proves the lack of an ‘epidemic’. The definition of an epidemic: An outbreak of a disease or illness that spreads rapidly among individuals in an area or population at the same time. Ignoring for a moment that Autism is not a disease (it’s a disorder), we can now prove that Autism does not spread nor is it increasing in numbers. Therefore Autism is most certainly not an epidemic. What does this have to do with vaccines? Well, 20 years ago, vaccines had thimerosal, you know, that ethyl-mercury stuff… which should mean that there would be MORE Autism 20 years ago than today since almost all of our vaccines no longer have thimerosal today. Right? We took it out 10 years ago, the number of Autism cases should have gone down. If we rule that out, then perhaps it’s the number of vaccines given in such a short time. Which, if the epidemic theory was correct, would make sense. But now that we can show that the rate of Autism was around 1 in 100 back then, when children had less vaccines than they do now…. we must conclude that the number of vaccines is not a factor either. The amount of vaccines have changed, the amount of Autism cases has not. In this article, read more here, researchers have broken down Autism into 4 sub types, and have found 18 genetic markers (10 of which are common to 2 or more sub types) that are common in Autistics. This is big news because it means that they’re narrowing it down. It also means that they’ve specifically determined that Autism is genetic. Does it mean that there is no “sub type” that is not more likely to have a reaction to environmental toxins that could resemble or cause Autism? No it does not. However, it does prove that genetically, they’ve already got it… it’s just a matter of having something trigger it and when. Let me put it another way, if a sub type is one that is classified as having Autism lie dormant until triggered by something in the environment… well then, it’s only a matter of time. If vaccines do trigger it… what’s to say that food chemicals don’t too? or acid rain? Or artificial sweetners? or car exhaust? or cigarette smoke? You get where I’m going with this? If you’re still worried about mercury after all I’ve told you and you now see that Autism is genetic… then chances are, all those vaccines you skipped will be for nothing once your child takes their first bite of a tuna fish sandwich. There’s far more mercury in there than all the old thimerosal vaccines combined. It’s genetic… That’s why 1 in 100 adults have it, that’s why 1 in 100 children have it. That’s why their brains are 10% larger rather than having smaller heads. This is all beginning to add up. It may surprise you, but I am linking to Age of Autism this one time because this transcript is actually important to point out. Wakefield, the guy often blamed for the anti-vaccine movement, actually never told anyone not to vaccinate their children. Ralph Nader was for safer cars .. he wasn’t anti-cars. I am not anti-vaccine .. the vaccine strategy .. the vaccine policy in this country is not safe .. the safety has never been proven. The safety studies of that vaccine are largely inadequate .. not my words .. the words of an international expert .. “largely inadequate”. The safety studies have not been done .. I’ve not said “Don’t get vaccinated”. I strongly advocate for the use of single vaccines. He’s certainly not helped in making that message clear, but it needs to be clear. Whether you believe he is an honest man or he’s a thief that lied so that he could have his own vaccine patent in place to make himself rich… it doesn’t matter. What matters is that even he thinks that you need to vaccinate your children. Actually, let me say that again… he had a patent for his own vaccine! He simply wanted to have the MMR vaccine split up into 3 separate vaccines, one of which he had a patent for. Why would he develop a vaccine if he wanted you to not vaccinate? Whether you feel that the vaccine schedule needs changing (it doesn’t actually, but that’s another matter) or you feel that vaccines need more research or you feel that vaccines need to be ‘greener’….. do NOT STOP vaccinating your children!!! Seriously people, there is no way in the world that it’s “healthier” or “safer” to not vaccinate… not in a million years. Now, I do understand that some people simply can not vaccinate… allergies, adverse reactions or what have you… medical reasons do arise that make it unsafe to do so. But personal paranoia is not a valid excuse! You can’t risk your child’s health and safety, not to mention other children’s health and safety, based on your own unproven fears. 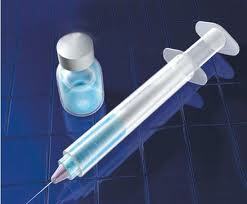 Get all the information in the world, take what ever safety precautions you feel you need to take but vaccines work. You were vaccinated as a child. They may have saved your life and you didn’t even know it. That’s how they work. If you’re pro-safety or concerned or what have you, that’s fine. However, if you’re anti-vaccine, to the point of not vaccinating your children at all, I no longer accept your opinion. I no longer accept your freedom to choose. Instead, I’ll do my best to change your mind. 11 Responses to Autism, Vaccines, Brains, Epidemics, Genes, Wakefield – What does it all mean? I often hear the “my child, my choice” argument. There are things people do for their kids that I have chosen not to do for mine, from the relatively benign, like special diets, to the highly invasive, like chelation. Fine. But as you show here, the decision not to vaccinate is not a personal one – it affects every person your child comes in contact with. Thank you for sharing the research and helping to educate! Very true that not vaccinating affects more than just the child. I think the risk of not vaccinating is much higher than if done. My wife is tracing my genealogy. We were not surprised to see “measles” listed as the cause of death for several relatives, from 18 months to six years of age. Before the 1960s, such death were simply “normal” and accepted by families. I was diagnosed *before* vaccination. I’m not unique, sadly, but people deny we exist. It’s a simple myth, a convenient explanation for a complex set of conditions. Great post, I’m going to print this and keep it for anyone who blames autism on vaccines. Great use of statistics. We’ve thought the same thing about vaccinations, that you are putting so many more people at risk. Just silly. Best point i’ve read anywhere in a long time. Absolutely through and great all the way around. I’ve always held that since autism was only a actually classification diagnosis in the last 20+ years we have many undiagnosed adults or late in life diagnosed adults. My daughter is a teenager and back when she was diagnosed they were adamant about not labeling anyone on the high functioning end prior to age 6. Not vaccinating your child endangers those who aren’t old enough to be vaccinated and those are usually the deaths. People don’t remember how dangerous these once gone childhood diseases were. This post made me want to stand up and cheer and then print it out and photocopy it and give it to every single person who has told me my son’s Autism is my fault since he is vaccinated and then share it all over the internet daily for the next 10 years until people start actually listening!! Out of these 1000 exposed I am sure statistically that the majority of the ppl are vaccinated. If vaccines are so important then why would you be scared about your kids getting sick from an unvaccinated child? There is also no proof that this child wouldn’t of gotten measles if he was vaccinated. Vaccines are not 100%. Vaccinated are much more of a risk to the unvaccinated. Your vaccinated kid is sick with whooping cough but it just seems like a cold. Due to the reason he is vaccinated he gets it at a lesser degree. My unvaccinated kid comes into contact him and he gets full blown whooping cough because your kid is carrying it around and making my kid sick. And if you want to talk about autism, there is no proof linking vaccines with autism. But this link has also not been disproved. As for the agruement with vaccines and austism, for me that is not my motivation not to vaccinate. For those of you that think that is the main reason people don’t vaccinate you obviously have your head buried in the sand. The vaccine debate is about much more then that. People that don’t vaccinate are generally very well read and have reasearched each shot very carefully. I have reasearched well over thirty hours. Reading all types of books. Books with balanced view points. I would never just trust my doctor and go get what they tell me to without questioning. why would I just put my childs future into the hands of a stranger? People run the whole gamet, pro-vaccine, no vaccine, seletive vaccine and people who delay vaccine. I am still not sure what title I will run under, but I definately know that it is my choice. And I am not just going to trust someone else to tell me what to inject my child with.